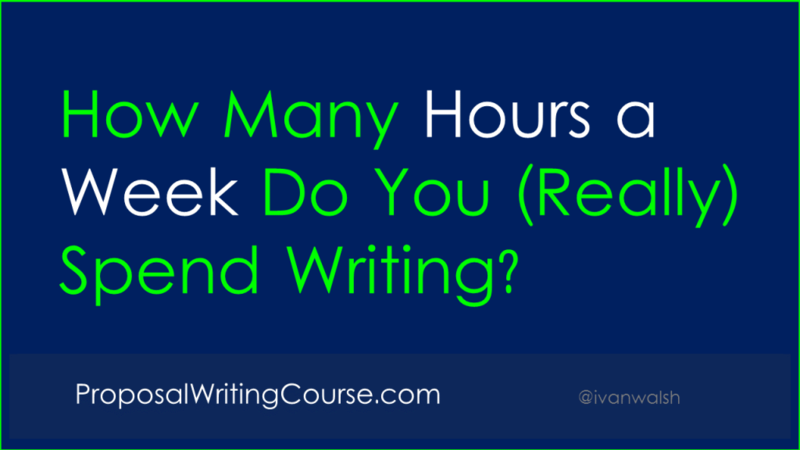 You are here: Home / Proposal Writing / How Many Hours a Week Do You (Really) Spend Writing? How much time do you spend working every week? I don’t mean being in the office, but actually working. You have 37.5 hours every week, but how much is actually spent doing what you’re paid to do? When I say working I mean developing real outputs (e.g. content); this includes illustrations, diagrams, publishing etc – whatever goes into the final deliverable.